NEW YORK, Nov. 08, 2018 (GLOBE NEWSWIRE) — Cannagreed.com News Commentary based on the results of Tuesday’s election, It’s just a matter of time before marijuana will become legal in all 50 states. A recent poll shows 93% of Americans are now in favor of legalization. And this poll doesn’t even account for the popularity and growing demand for CBD infused products, which will be legal in all 50 upon the imminent passage of the 2018 Farm Bill. According to a recent report issued by New Frontier Data, the U.S. CBD industry grew by nearly 40% in 2017, reaching $367 million in sales across hemp-derived (CBD) products. This marks the first year that sales of hemp-derived CBD products outpaced marijuana-derived CBD products.With the legalization efforts in Michigan, Missouri, and Utah being successful from Tuesday’s election and yesterday’s announcement that Jeff Sessions has resigned from his post, the cannabis and CBD sector is poised to take off after a slight pullback after the Canadian legalization and run up to the midterm elections. With share prices down from earlier 52-week highs, there are many stocks that offer an attractive investment in the sector.Aurora Cannabis Inc, the Canadian cannabis company which recently listed on the New York Stock Exchange, announced on Tuesday that it made an investment into Choom Holdings. The investment in Choom Holdings gives ACB more exposure to the Canadian marijuana retail segment, as Choom aims to become one of the largest adult-use cannabis retail networks in the country. Choom has obtained rights for 45 locations across Western Canada, which includes 27 development permits and 18 building permits in various cities.CV Sciences the US based company whose primary product is a chewing gum that combines CBD with nicotine, which is used in the treatment of addiction to smokeless tobacco. CSVI’s therapy product has significant upside for the legal-weed industry. The company’s product demonstrates that cannabis has uses that extend beyond its stereotypical image as a recreational drug, and the market has reacted very positively to the Company’s recent developments. 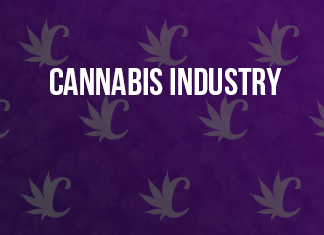 CSVI posted over a 100% revenue gain from the 2016 to 2017 fiscal years, and surpassed its 2017 sales figure through the first 6 months of fiscal 2018.